Considering his age, Porter [he is 75] has decided to settle down and stop his wanderings. Together with some friends, he is preparing to open a meditation center in Seattle. Edward A. Burger is the director of Amongst White Clouds, the 2005 documentary film on the Chinese hermits of the Zhongnan Mountains. 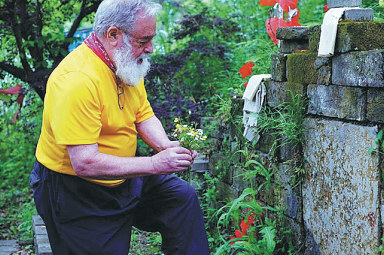 In October 2011, Burger was interviewed by Kyoto Journal on questions about the hermits: their inspiration, practice, and daily life, and how it affected Burger. Sometimes when Tian Xuesen sits in city traffic, waiting for a red light to turn green, he feels said he feels dislocated. Small wonder that urban noise and crowds make him uncomfortable. More that half his year is spent deep in the silent mountains of Shaanxi Province, where he paints. “The mountain is and will be the sole subject of the rest of my life,” he says. 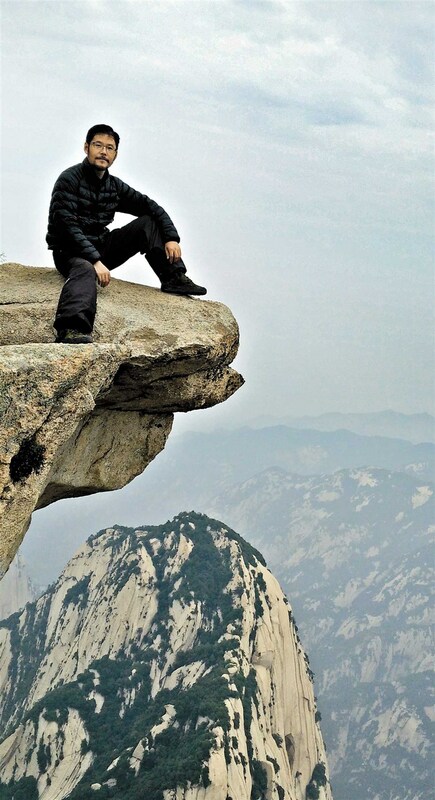 ” … Years of living alone in the mountain have taught me what to choose and what to give up,” Tian says. “I have chosen to give up city conveniences and embrace solitude and art. The article describes Tian’s life and routines in the mountains, his earliest years acquainting himself with the surroundings, how he came to settle on his artistic themes, and the significance of the mountain and solitude. describing a married couple living in a cave (in Nanchong, Sichuan province, China) for 54 years — so far. Liang Zifu and his wife, Li Suying, originally intended the move to the cave to be temporary, but they decided to stay and raise a family. Though of advanced age, they refuse to move out, despite the urging of their children and of the village. The village did concede to the couple’s presence and now provides them electricity and running water. Hermits, a 2015 documentary film directed by Shipig He and Chengyu Zhou, follows author and translator Bill Porter’s three decades’ long journeys in search for modern Chinese hermits in the Zhongnan mountains of China. The film is based loosely on Porter’s classic book Road to Heaven, and includes some hermits who appeared in the film Amongst White Clouds. Information about the film is scanty (Internet Movie Database IMDb lists the several film festival showings around the world) FilmFreeway includes a 4+ minute trailer and the director’s summary “13 Commandments” for hermits. 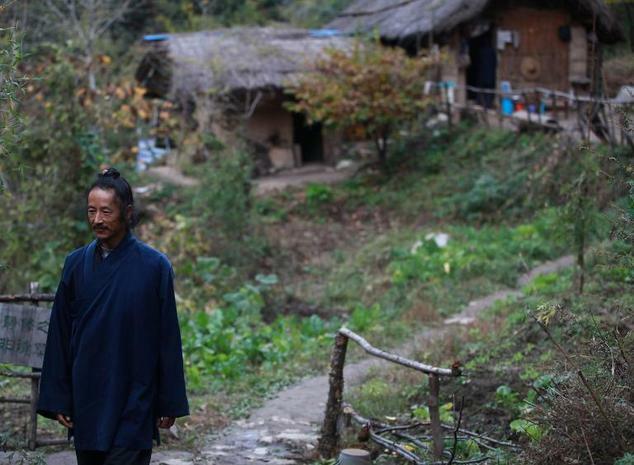 The Daily Mail (UK) offers a summary (originally Agence France-Presse) of contemporary hermits in China’s Zhongnan Mountains, profiling several in an article titled “China’s mountain hermits seek a highway to heaven.” Among hermits in the article: Master Hou (pictured above), Wang Gaofeng, Liu Jingchong, Li Yunqi, and Gao Ming — the latter two are women, and, surprisingly, half of the hermits of Zhongnan are women. Almost all the hermits are younger aspirants quitting their congested urban homes for the freedom of the mountains. Some are part-time dabblers who come to the mountains on a weekend to try out the hermit life. Bill Porter has become an inspiration to many thoughtful Chinese men and women curious about Taoism, Buddhism, and eremitism.